Summer is just about here and it’s the perfect time to add a new movie to your collection. 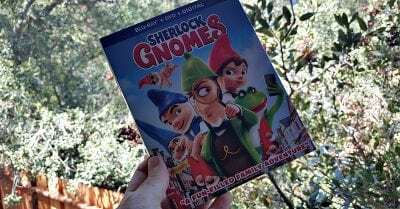 The Sherlock Gnomes Blu-ray DVD combo pack will entertain the family and kids and adults will laugh at this hilarious adventure. Sherlock Gnomes – They’re on a Mission to bring every gnome home! Are you ready for laughs? You’ll want to add the new Sherlock Gnomes movie to your planner, since it looks like it is going to be hilarious fun for kids and adults.